So, how much of what went on in The Dirt really happened to Motley Crue? 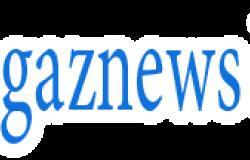 A film adaptation began to percolate in 2006 but languished in development hell until Netflix picked up the rights in 2017. Now The Dirt's release on the streaming giant has reinvigorated interest in Motley Crue's outrageous rise to fame, and the antics they engaged in along the way. How much of The Dirt is true? 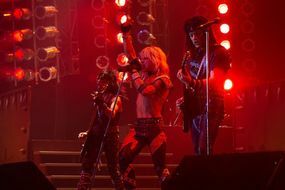 The movie version of The Dirt focusses on the first 15 years of Motley Crue's career beginning in the early 1980s. The movie concludes in 1995, with a postscript that reads: Motley Crue played together for another 20 years. However, the movie does take some liberties with the chronology of Motley Crue's story. For example, at the start of Mötley Crüe's Theatre of Pain tour, a sad looking Vince Neil is visited by his wife Sharise and their daughter but in real life, Neil wasn't yet married to Sharise. How did Tommy Lee and Nikki six meet? In the film, the two bump into each other accidentally at a restaurant after Tommy saw Nikki's band London perform. Nikki goes on to tell Tommy London is breaking up, offering Tommy a chance to audition for a new band. In the film, Tommy says his only experience drumming was in his high school marching band but, in reality, Tommy was already the drummer in a band named Suite 19. Nikki had seen Suite 19 in concert and was impressed by them, so the encounter in the restaurant was a planned meeting to discuss putting together a new band. 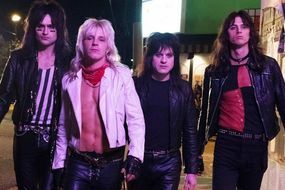 The Dirt movie REVIEWS: Mötley Crüe biopic next Bohemian Rhapsody? 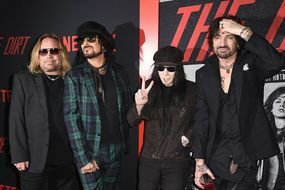 Motley Crue The Dirt Netflix: Band reunited but BANNED from touring? How did Vince Neil join Motley Crue? The movie shows the band first meeting Vince Neil at a backyard party where he sings Billy Squier's My Kind of Lover. In reality, My Kind of Lover had not even been released yet. The first lead singer of Motley Crue wasn't Vince, as the movie shows, but a man named O'Dean Peterson. When Vince did eventually join Motley Crue, after the band followed him for several weeks to convince him, they did not jam to Live Wire as Nikki had yet to write the song. Did Nikki Six call the police on his mother? Yes, just as portrayed in the film, Nikki did call the cops on his mother during an argument. Nikki described the relationship to Forbes, saying: "The most painful part of the film is my relationship with my mother and how I could never mend that." "There is a scene where she is calling me and I can’t pick up the phone. I'm addicted to drugs but have huge animosity because she abandoned me." Did Motley Crue sign with Elektra Records in less than a minute? No, in fact, Motley Crue was far more wary of Elektra Records' rep Tom Zutaut (played by Pete Davidson) than the film lets on. Bonding on Netflix location: Where is #bonding filmed? Where is it set?